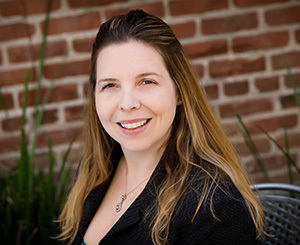 Lauren has over 16 years experience working in senior care and is a licensed California Nursing Home Administrator. She has been in the family business her whole life; in fact, she was almost born at the Waters Edge Nursing Home. As the only child for eight years, Lauren spent many hours following her parents around the Waters Edge Nursing Home. And as a preteen lived at The Lodge for about a year, where having meals with the residents and listening in awe to their remarkable life stories helped shape her life. Lauren began her official work at The Lodge while in high school where she spent much of her time in the accounting department. When she went off to college, she continued to spend summers and winters helping out at the various care facilities that make up AEC Living; her work ranged from accounting to the instillation of the medical record program. After obtaining her Masters Degree in accounting from the University of Texas, Austin, Lauren returned home to run the accounting program for the communities and did a stint as the Assistant Administrator at the Waters Edge Nursing Home. Lauren later went off to law school at Tulane University School of Law in New Orleans and received her LLM from New York University Law School, but not before helping to plan and open AES Therapy & Fitness, a Medicare approved therapy company. Since returning to Alameda, in addition to working with her family first as CFO and now CEO for AEC Living, Lauren has been helping with the formation of Elders Village, a 501(c)3 nonprofit focused on helping seniors stay independent through education and community, and serving on the Board of Directors for Alameda Meals on Wheels. Most recently Lauren, with her brother Stephen, has begun publishing Alameda Senior Magazine, an informative magazine focused on seniors in Alameda and the surrounding community. Lauren sees co-housing as an important option in Senior Housing and is proud to be working to bring it to the area.